Master the foundations of the oldest engineering discipline while getting hands-on experience with ideas and concepts at the forefront of engineering science. 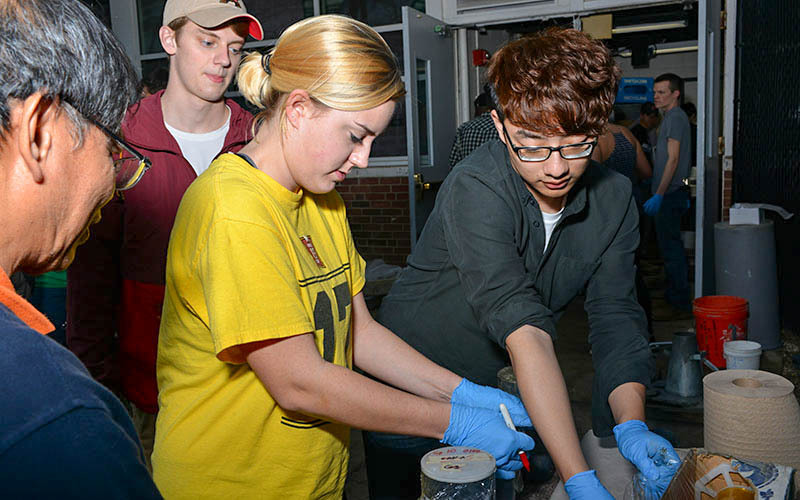 The Department of Civil and Environmental Engineering undergraduate degree programs feature cutting-edge education labs, dedicated faculty who encourage student-led research, and ties with leading companies, utilities, and agencies. This 122-credit degree program gives graduates the breadth and depth of knowledge needed to work in the fields of civil and environmental engineering and to continue learning throughout their careers. The Project Management Center for Excellence offers two minors open to all undergraduate students in the A. James Clark School of Engineering and the School of Architecture, Planning & Preservation. This accelerated program allows outstanding students to earn both a B.S. and M.S. in five years of study. Students completing this program will have a minimum of 146 credit hours.